Worry and sleep don’t mix. Like anxiety, which is more intense, worry—or repetitive thinking about issues of concern—triggers the release of neurochemicals that prepare the body for action rather than for rest. Some people are by nature inclined to worry day and night. 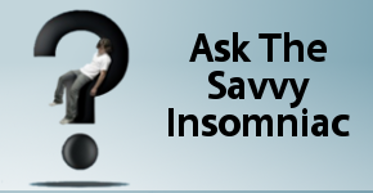 Allison Harvey, in her cognitive model of insomnia (2002), hypothesized that round-the-clock worry about sleep led to arousal, resulting in the sleep problems experienced by insomniacs at night. More recently, research has suggested that it’s worry in bed—rather than worry day and night, or trait-level worry—that is connected to trouble sleeping, and a new study published in Behavioral Sleep Medicine supports this conclusion. 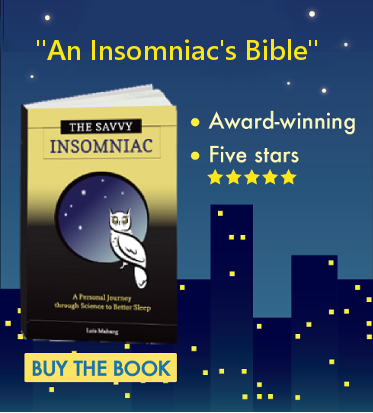 Researchers administered a series of questionnaires to 139 insomnia sufferers and had them complete sleep diaries every day for 10 days. Neither trait-level worry nor trait-level rumination (repetitive thinking about negative emotions) was shown to have a relationship with any aspect of sleep. The researchers then conducted a similar study with another group of insomniacs. Sixty-four participants were asked to fill out two diaries: one at 6 a.m., to record the sleep-related worries experienced during the night, and the other at 7 p.m., to record sleep-related worry and stress experienced during the day. The results? Nighttime sleep-related worry had a significant and negative effect on every aspect of sleep, including trouble falling asleep, being awake longer during the night, and sleeping less efficiently. In contrast, daytime sleep-related worry had a negative impact on sleep quality only. Do your worrying during the daytime rather than at night! Because that’s easier said than done, here are nine ways to check your worries—sleep-related or not—at the bedroom door. Write your worries down early in the evening. Preempt nighttime worrying by taking 10 or 15 minutes to write down the issues you’re worried about, whether or not they’re related to sleep. Beside each concern, write what action you’ve taken/you’re taking/you will take to deal with the problem. Some problems may be clearly outside your control (or feel that way), yet resolving to take some small action to manage the problem can afford relief. Share your worries with an empathic listener at dinner. Sharing your concerns with an empathic partner or friend over the evening meal can also help to preempt worry at night. And when it comes to figuring out how to deal with a problem, two heads are often better than one. Further, research suggests that regardless of who’s talking and who’s listening, interactions with friends and supportive family members help tone down stress. Create a pre-sleep routine. It’s important to end the day with a wind-down period (ideally, at least an hour) in the run-up to bedtime. Think of it as a time to indulge in self-care, incorporating activities that make you feel good—such as listening to slow jazz and bathing by candlelight. The aim is to create an end-of-day ritual that’s worry free. Doing the activities in the same sequence every night will establish a clear association between your wind-down routine and sleep. Train your attention on something outside yourself. Watch a movie or a sit-com. Read or listen to a novel with complex, interesting characters. Do a crossword puzzle or play a word game such as Scattergories (Pick a category: Food. Pick a letter of the alphabet: L. Think of all the foods that begin with the letter L.) If you can do so without disturbing others at home, play a musical instrument. Engaging your mind will free it from repetitive thinking and enable you to go to bed feeling more relaxed. Adjust your perspective with cognitive restructuring. Confront your worries head on by asking a series of questions to find out how realistic your repetitive thoughts about a worrisome situation really are. In the process you’ll often find your anxiety level going down. Click on cognitive restructuring to find out more. Do a low-key physical activity. Underlying worry and anxiety are neurochemicals that trigger the urge to fight or flee. Low-key physical activity, such as walking outside or around the house, enables you to work the stress out. Do a deep breathing exercise. Deep diaphragmatic breathing triggers the relaxation response, enabling the body to move out of fight-or-flight mode and into a relaxed and restful state. Sitting in a chair, slowly inhale to a count of 4, pause briefly, and exhale to a count of 4. Focus on your breathing. If you find your mind wandering, gently guide your attention back to your breathing. Repeat this cycle as many times as needed. Do progressive relaxation. Sitting or lying down, one by one, tense and release every group of muscles in your body. Start with the muscles in your toes and move upward through your trunk to your head. Then move downward through the arms to the fingers. Do a guided meditation. Allow someone else to lead you through meditations designed to quiet your mind and relax your body. Jon Kabat-Zinn, whose guided meditations are available on the internet, is a master at this. Please share any strategies you’ve found to cut down on worry at night. Thank you so much for your blog, it has helped me so much in understanding my sleep problem! I have have just started sleep restriction, my 4th night to night. My sleep window is quite small, only 4 hours and 45 mins. I choose my wake up time to be 07:00 o clock, meaning I am going to bed at 02:15. Problem is, I think maybe I should have choosen to wake up earlier and therefor be able to go sleep a bit earlier.. I have such a hard time staying awake in the night! Even so I have had two nights were I still have not been able to go to sleep once in bed(didn’t fall asleep until approx 03:30). It is like my brain doesn’t know how to turn of, wich is part of why I am doing sleep restriction in the first place. I guess my question is: would it be damaging to the process to move my wake-up time? I really do not want to do anything to prolong this process as I find it VERY hard. Also I find it almost impossible to get out of bed if I don’t fall asleep after 15min.. I do not know how to know wether it has been 15 min when I am not able to watch my clock and my body is exhausted so it os so hard to get up. Any ideas? Sorry if this is hard to make sense of, my head is not functioning very well..
I’m glad to hear you’re finding the blog posts helpful. I’ll see if I can try to make SRT a little less difficult for you. You didn’t mention keeping a sleep diary for a week before beginning to restrict your time in bed. The reason for doing that is to figure out, as nearly as possible, the average amount of time you’re sleeping from night to night. Then, and only then, can you know what your sleep window should be when you begin therapy. If you didn’t start with this step, I’d suggest starting all over and collecting data for a week to know exactly how big your sleep window should be. If you DID spend a week collecting data and found that your average total sleep time was 4 hours and 45 minutes, then we can go from there. Four hours and 45 minutes of sleep makes for a pretty short night. Many sleep therapists recommend starting with a sleep window of no less than 5 hours. If I were you, that’s where I’d start. I, too, found it difficult to follow the rule about getting out of bed if, after 15 or 20 minutes, I couldn’t fall asleep. It’s harder for some people than for others, I think, and each person needs to decide for themselves how rigorously to follow this rule. The important thing is to adhere strictly to the bed and rise times. During the first couple of weeks of therapy, you shouldn’t expect to be at the top of your game. It’s likely you’ll feel somewhat sleep deprived, so I wouldn’t worry too much about not being able to work as diligently on the cognitive aspect of therapy as you might like. The truth is the sleep restriction component on its own helped me improve my sleep more than any other component of cognitive behavioral therapy for insomnia. Best of luck with the SR process, and please write again if you find you have more questions.